When it comes to buying women’s wetsuits there are three main factors that most of us think of: fit, warmth and price. This is where we hope we can help you out. This post is going to recommend some of the best women’s wetsuits to buy online that we believe tick those three boxes. We’ll show the best full length and women’s shorty wetsuit options that are affordable but don’t hold back on quality, keeping you warm and comfortable while surfing or bodyboarding. As we go through we’ll explain what all the keywords mean so you know exactly what it is you’re looking for. As mentioned, we’ll give you the best recommendations of full length and short wetsuits, but also explain the key differences and benefits of buying one or the other – you might end up wanting both! 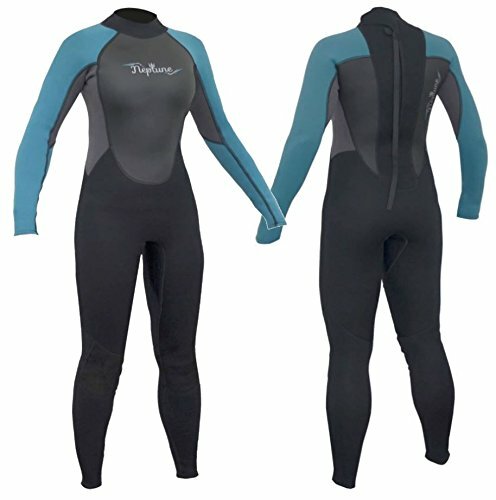 Which Thickness Wetsuit to Buy? The two most popular types of wetsuits are full-length and short (shorty) wetsuits. A full-length wetsuit provides more coverage for your body, covering the entire length of your arms and legs. Full-length wetsuits are great if you’re going to be spending long amounts of time in the water as they provide more warmth to your body as they cover more of you. As well as a bit of extra warmth, full-length suits provide more protection to your arms and legs from the sun. You’ll be in the sea for extended periods of time under the sun, a full length suit will help keep sunburn at bay. Another benefit of a full-length suit is if you’re bodyboarding and you’re going to be leaning on your forearms. Some boards can be abrasive and rub against your skin. Once again, longer sleeves will help protect your arms. 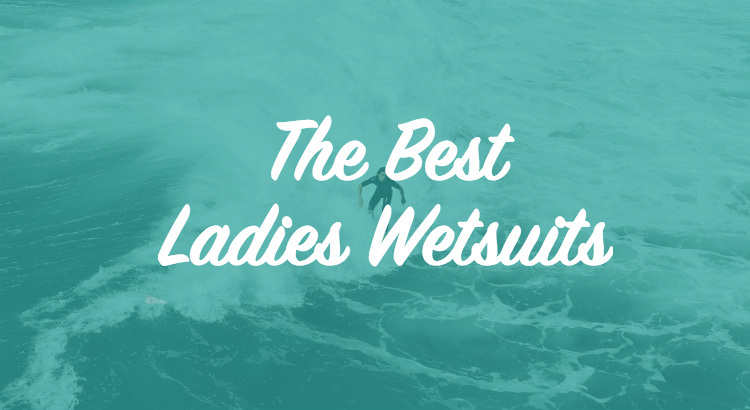 Here are our choices of the best women’s full-length wetsuits. The Gul Neptune is a very popular beginners wetsuit for men, women and children. If you check out our men’s wetsuits guide and our top picks of the best kids wetsuits you’ll see the Neptune make an appearance on both of those too. Let us quickly explain what a 3/2mm wetsuit is. Is it a 3mm or 2mm suit? Well, it’s both. When you see two numbers on a wetsuit rating, the first number refers to the thickness of the body neoprene (the rubbery material that wetsuits are made from) and the second number refers to the thickness of the arms and legs. So why have two different thicknesses? Having thinner arms gives you more flexibility to move and bend your arms and legs. Making it easier to swim and paddle. While a thicker body keeps you warm. So the Neptune lets you move easily while keeping you warm. As well as providing comfort and warmth, the Ladies Neptune features a smooth skin on the back and chest to provide extra protection from the wind, helping to keep you warmer even in breezy conditions. 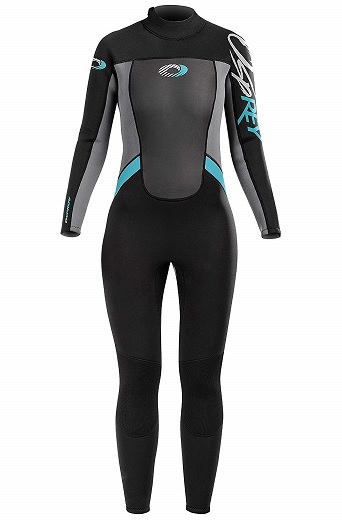 Next up we have the highest rated full-length wetsuit on our list. Scoring a perfect 5/5, the Osprey Origin for women is a great beginner-intermediate level suit that will deliver performance for an inexpensive price. Once again it’s a 3/2mm suit, so will keep your body nice and warm while allowing your arms plenty of flexibility to move and get you around. The Origin features a stretch fit collar with an anti-rub material, ensuring the top of the suit is sealed without causing discomfort around your neck. As well as 3mm neoprene on the core of the suit, the chest and back feature wind resistant panelling for extra protection from the elements and wind chill. Available in a selection of colours and styles. The Pureflex wetsuit from Two Bare Feet is a 3mm suit that is a great all-rounder that you’ll get plenty of use out of for many beach trips to comes. 3mm is the most popular thickness for wetsuits amongst surfers as it provides a balance of warmth and plenty of movement. The Pureflex features a thermo-mesh chest panel for extra warmth and flatlock seams for added comfort and less rubbing from the suit. Sizes range from small (UK women’s 8) to XXXL (UK women’s 22) and is available in lilac, raspberry (pictured), black, red and blue. You’ve probably seen the Mountain Warehouse brand name before. Mountain Warehouse are known for providing well made, quality outdoor activity wear for very reasonable prices. Their women’s full-length suit is an ideal wetsuit for a beginner surfer or bodyboarder looking to buy their own suit. Made from 2.5mm neoprene, the Mountain Warehouse wetsuit provides warmth without squeezing you in so tightly that you can’t move – there’s plenty of stretch from the suit so you can move freely. The Odyssey Core is a versatile wetsuit that has been specifically designed with women in mind. The body of the suit is shaped to accommodate bust, while the hips are more generous than on a man’s or generic unisex suit. The Core is kind of a mix between a 3mm wetsuit and 3/2mm suit, the legs and body of the Odyssey Core are made from 3mm neoprene whereas the arms are made from 2mm (rather than the arms and legs being 2mm like most 3/2mm suits). By only having the arms at 2mm thick, the suit offers ample warmth for your body and legs, while your arms have more movement for paddling. Short wetsuits are more commonly known as shorty wetsuits, and sometimes you might see them called springsuits. So why would you buy a shorty rather than a full-length wetsuit? Shorties offer much more ease of movement as they don’t cover your knees and elbows. This means that swimming, paddling, surfing, even just walking around is easier. As well as the extra flexibility, a shorty is ideal for warmer weather. You’ll spend a lot of time in the wetsuit, hopefully in some good weather! A short wetsuit will keep you cool and also get a bit of sun on your arms and legs too. Bonus. Just make sure you wear suncream. Check out our top picks of the best women’s shorty wetsuits to buy online. Some of these will be short versions of the full-length suits we’ve just shown you, but there will also be a few new ones in here too. One of the great things about the Osprey Origin is the sizing options. Osprey offers the Origin with a long option for each size. For example, small is available in a small long, for taller women who wear a small. The same applies for the full length wetsuit too. The Origin shorty uses flatlock seams throughout the suit for less irritation and more comfort, while preventing water from entering the suit through the stitching. 3mm body and 2mm underarms provides the perfect balance of warmth and flexibility from a shorty wetsuit. Next up is the Gul G-Force women’s shorty. This is a 3mm thick neoprene wetsuit throughout, with a smooth skin chest and back for reduced wind chill effect. For the price point, the G-Force still produces high-quality performance from an ideal entry level wetsuit. As with the Origin, the G-Force features smooth panelled back and chest to help retain more warmth. The adjustable neck strap allows for more comfort from the suit and a more secure collar to prevent water spilling into the suit and flushing out the warm water. The ladies CIC is one of the best selling shorty wetsuits online, popular for its budget pricing but durable and long-lasting nature. The underarm of the suit features ultra-stretch material for extra comfort and more movement when swimming, paddling and surfing. Designed for women’s body shape, the CIC fit nicely in a range of different sizes and shapes, comfortable to wear and easy to get in and out of. Available in all black and black with blue, purple or pink trim. The shorty version of the Mountain Warehouse full length wetsuit for women, the 2.5mm shorty is once again a great entry-level wetsuit for the first time buyer. 2.5mm neoprene is a perfect thickness for summer surfing out in the sun. As well as an extra-long zip chord for easier entry and exit into the suit, the Mountain Warehouse shorty features flatlock seams. Contoured design for a better, more comfortable fit which aids water retention and reduced flushing. This is a special inclusion for you. A hybrid suit, a short leg wetsuit with long arms, offering the best of both worlds. The Two Bare Feet Harmony comprises the warmth of a fullsuit and the movement and flexibility of a shorty. Rather than wearing shorts and long sleeve two-piece set, the Harmony offers both in one from a well fitting, neoprene 3/2mm wetsuit. 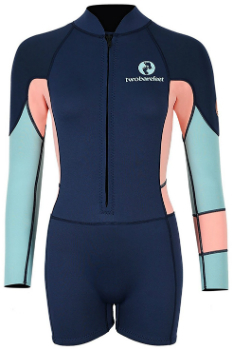 Long sleeves provide more protection and warmth for your arms, which is ideal if you’d like to bodyboard in the suit. Well designed and styled to offer a great looking suit for women. If you’re new to surfing or you’ve never bought a wetsuit before, it’s easy to get lost and confused in all the choices available. When you first jump online and start shopping for women’s wetsuits you’ll see several options. Fullsuits, shorties, 3/2mm, 5/4mm, neoprene, flatlock seams and many more options and words that you’re probably unfamiliar with. Don’t worry, we’re here to make it as easy as possible for you to buy a wetsuit online. There are three main things to consider – style/length, size and thickness. The styles and lengths we’ve featured in our selection of the best women’s wetsuits above are full length or shorty wetsuits, these are the two most popular styles. If you’re surfing in the sun in sea temperatures that will be warm, a shorty might suit you best, but if you want complete coverage or you’re someone who feels the cold more than others, a full length might be the better option. Size is key, wetsuits work by trapping in water, retaining it and heating it. A wetsuit that is too big will allow the water to exit the suit and be replaced by cold water – this is called flushing. At the opposite end of the scale, a wetsuit that is too tight will be very restricting and awfully uncomfortable. Wetsuits are meant to be tight fitting, so if the wetsuit is too small, it will fit too tight and restrict your movement but also potentially feel like it’s squeezing you too tightly, which could lead to shortness of breath. Not all wetsuit manufacturers offer the same list of sizes, so finding the right size for you is key to the performance of the wetsuit. The thickness of the suit determines its thermal value, how warm will it keep you? If you’re going to be surfing in cold waters, you’ll want a thicker 4-5mm suit, warmer temperatures will suit 2-3mm suits. Wetsuit thickness can also determine how easy it is to move within the suit. 5mm suits are thicker and heavier than 3mm suits, so you might find swimming and paddling trickier in a thicker suit. This is why some manufacturers offer suits with different thicknesses on the arms and legs to the thickness of the body, such as a 3/2mm suit. The 3mm Torso keeps your body warm with the thinner 2mm material of the arms allowing more flexibility for easier movements. 3mm neoprene is the most common thickness for wetsuits as it provides a balance of warm and manoeuvrability, perfect for beginners. If you’ve already checked out our recommendations you’ll have seen the word neoprene quite a lot. But what is it?Neoprene is the rubbery material that wetsuits are made from. It’s a complex compound of a range of different rubbers and materials (that you’ll be pleased to know we won’t go into) that ends up with neoprene. Neoprene is highly thermal and water resistant. Trapping water within the suit and preventing more from getting in through the material. We’ve already covered this when talking about sizing, but a wetsuit doesn’t keep you bone dry within the suit. Your wetsuit will allow a thin layer of water into the suit when you first get in the water. Your body, being nice and warm, will heat this layer of water, providing you with a thermal layer of warm water around your body. The key part of a good quality wetsuit is stopping more cold water from entering the suit and flushing out the warm water. This is why the seams of the suits and the seals around the ankles and neck are important. You can hire wetsuits cheaply enough, right? So why bother buying one of your own? There are several positive reasons for buying your own wetsuit. If you’ve checked out the prices of any of the women’s wetsuits we’ve listed above, you’ll have seen that they’re not expensive to buy. Of course, as with anything, you can get very expensive wetsuits and if you were to take your surfing to a high level, you might need something more high-tech. However, if you’re a casual or new surfer, the suits above will be more than suitable for your needs. Wetsuits aren’t just for surfing. So if you ever find yourself trying out another water sport, maybe your kids fancy a go at white water rafting or jet skiing, you’ll have a wetsuit already, saving you further hire costs. People will spend a lot of time in a wetsuit, they’ll get sweaty, dirty and quite often people will spend all day in their suit, even if they need to go to the toilet… Do you really want to be sharing a suit with someone else? Once you’ve got your wetsuit, that’s it, it’s yours until you decide it’s time for a new one or if your weight changes. Once you’ve used it a few times you’ll have saved the money in hire costs and you’ll be comfortable in your own suit enjoying the waves.